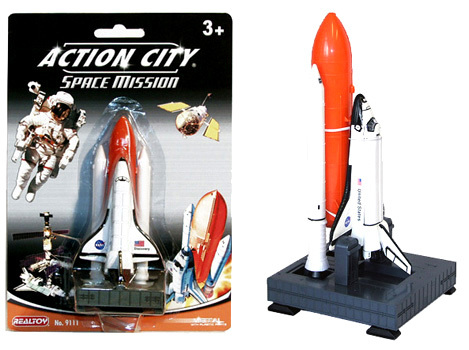 Mini Space shuttle and launcher (9111) - spacekids - space toys, dressing up costumes, kids spacesuits, astronaut food, cool space stuff! This great mini diecast space shuttle is 7.5cm (3") tall, and comes with plastic booster rockets, and sits on the launch pad. Shuttle separates from the rockets. Total height - 4 1/2 inches.